A conservatory is a great place to spend your time, especially in the late summer evenings when it’s slightly too cold outside and you can relax in the comfort of your conservatory while enjoying the view. 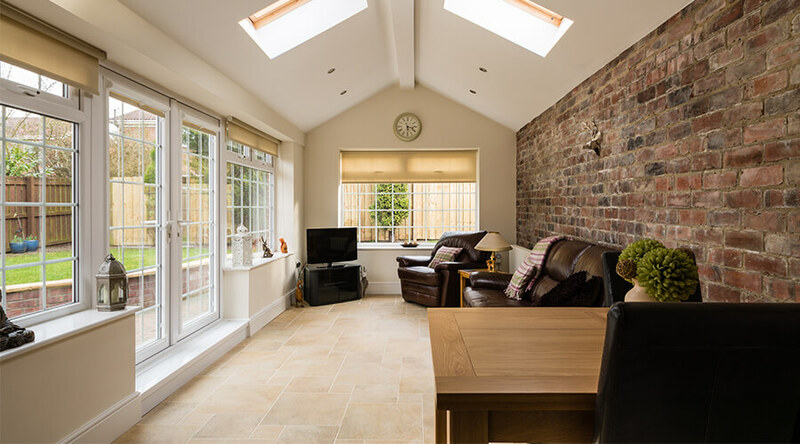 People don’t only invest in conservatories for decor purposes but also to add extra room to their house while avoiding going through the long slow process of having a home extension in Milton Keynes. There are a huge variety of designs for conservatories – but you need to find the one that suits you. Will These Designs For Conservatories Suit All Conservatory Types? Absolutely, no matter what conservatory type you may have you can make it your own and no matter what furniture or colours you incorporate it will look great. It is crucial to stick to a particular theme and colour base otherwise your design may mismatch and look slightly uncoordinated. When designing your conservatory, you must make sure it’s how you liked, make sure it’s personal to you and that it shows your creative flare. Or if you’re thinking about using your conservatory for an additional room such as an office then make sure you include all the correct equipment. The real question is what about the conservatory designs? What are the best conservatory designs and what can you do to create and design your perfect conservatory. One of the most favoured conservatory designs is traditional, complete with dainty wicker or aluminium furniture this design makes your conservatory the ideal evening summer dining setting. Set any gardening tools you may own stored around your space to create a traditional authentic vibe – things like watering cans, rakes, shovels and garden hoes. Not only does this complete the classic design pattern but it also makes an easy place to store all of your gardening tools near your garden for easy access. For the full ticket why not keep your brick walls instead of plastering over them, paint them with a colour of your choice for a light splash of colour – cream, green, yellow or light blue work well for a classic theme. Finally, enhance your final look with a few plants and shrubs dotted around, things like orange trees or small plants and cactuses can pair well with a light shaded room. Have a small sized table and chairs to keep your space looking cosy. Wooden flooring accompanied with wooden furniture looks gorgeous in te summer, and is often used for outdoor building such as summer houses or garden cabins. Bring the outdoors inside your home by laying a wooden floor down in your conservatory, leaving the wooden floor bare creates a natural, outdoor aroma tha your guests will love. A lot of people call this design the farmhouse design as it tends to remind people of the inside of a large farmhouse or a barn. Keep your furnishing and lighting simple, neutrals and creams help keep the focus on your surroundings accompanied with a beautiful design. Simple wooden chairs are an excellent addition to a design like this, and your guests will sit there for hours. Another popular design choice for conservatories in Milton Keynes is the contemporary idea. A lot of people for contemporary designs use bold colours such as red, dark blue, red and bright white. These colours are portrayed as futuristic and full of energy which is why they are often used in modern designs. Modern conservatories team well with patios in Milton Keynes or bright white stones in your garden, those who choose to opt for the contemporary design usually pick furniture that is slightly out of the ordinary. For example instead of your standard table and chairs they ay decide to invest in something like a pod chair or a hanging chair, which is definitely a winner at impressing guests. Furniture like hanging chairs and pod chairs cost considerably less than a sofa or table set would – so it’s a great way to save a few pound. They also take up less space and can be easily manoeuvred or stored away, so it’s a win-win situation. Choose a plain background, typically white or cream and pair it with bright coloured furniture to create a gorgeous visual effect that will wow your guests. Objects like framed paintings and wall decorations can add a subtle form of decor to your walls without taking the attraction away from your furniture. If you want a table set in your contemporary conservatory then make it centre stage, this will be the first thing your guests see so you must make sure it is presented well. Choose grey black or white tables to add to the theme and portray it in the centre of the room as if it was a centrepiece. Remember conservatories are designed to create extra space – so this also creates extra room around you for other activities and furniture. If you have a green thumb, then it’s time to bring the outdoors into your home. Conservatories were originally designed and built to grow oranges and plants quicker due to the amount of sun that can enter. Why not bring your garden inside for convenience? Position a set of chairs and a table in the centre of the room, and lace the outside area of your conservatory with plants. Even have an orange tree in the corner of your conservatory and grow your own oranges, the plants you can grow are endless. Water and care for your fruit veg and plants without even having to step out of your home, your plants are likely to grow better as well if you regularly water them as they are always positioned in the sunlight. There are many ways you can design your conservatory, it’s up to you to choose your design, but these are the favoured base designs for conservatories. You do not have to have a theme or colour theme, but it’s always best to be organised and decide on what you want and where you want it. If you don’t have a conservatory but are interested in one, here at Crown Windows, we offer a variety of different conservatories in Milton Keynes to suit everyone’s needs and home design. Make an enquiry today using one of our contact forms! We hope this article was helpful – if it was then why not share these conservatory designs with your friends and family.